LONDON– Almost all liberals support globalization and oppose economic nationalism. They ignore the mounting evidence that, in its current form, globalization is dangerously incompatible with democracy. In his 2011 book The Globalization Paradox, Harvard’s Dani Rodrik says that the nation-state, democracy, and globalization are mutually irreconcilable: we can have any two, but not all three simultaneously (he calls this a “trilemma”). All over the world, the “nation” has been revolting against globalization in the name of democracy. That became clear this year when US President Donald Trump imposed the first of a widening set of tariffs against Chinese goods, with China retaliating in kind. Trump has also torn up two major international trade treaties and threatened to withdraw from the World Trade Organization. The trigger for America’s turn to economic nationalism is its widening trade deficit – $566 billion in 2017, and growing – as the US economy recovers. But the deeper reason is the correct perception that the resulting current-account deficits are not “benign” when they are being financed by inflows of short-term capital, or “hot” money. A current-account deficit means that a country is importing more than it is exporting. And those excess imports can lead to a net loss of “good” jobs. Six million manufacturing jobs disappeared in the first decades of the 2000s. The Rust Belt made Trump president. “It’s time to rebuild Michigan, and we are not letting them take your jobs out of Michigan any more,” he told cheering crowds in Detroit in 2016. Trump’s protectionism also has a geopolitical root. Metal imports have led to the closing of many enterprises that might be needed for defense. China’s strategic “Made in China 2025” plan is a high-tech industrial policy aimed at transforming China into a dominant global leader in the industries of the future. It significantly relies on stealing advanced technologies from the United States. If MIC25 is successful, the US will have a depleted economic and political future. In strictly economic terms, the political character of one’s trading partners should not matter. However, in a world of strategic competition, international commerce can be, and usually is, an instrument of policy, and its use in that context should not be denied simply because it breaches the sacred principle of free trade. As Friedrich List, the nineteenth-century pioneer of economic nationalism, pointed out, free trade assumes a peaceful world. Selective tariffs can be useful for protecting defense-related industries or to prevent other countries from stealing cutting-edge technologies. But as an overall trade policy, tariffs are crude and inexact. The US will incur high costs and might end up without a substantially lower trade deficit or other meaningful benefits. This “smart” protectionism has several advantages over crude tariffs. First and foremost, it would automatically prevent trade wars. Because CFT imposes limits just on the trader’s surplus, any attempt by the surplus country to decrease the value of its imports from the US would automatically decrease the value of its allowed exports. Second, CFT would confront, in one stroke for each partner, government subsidies, price and currency manipulations, and the other dirty tricks of international trade. In contrast to prolonged and often fruitless haggling over trade treaties, results would be obtained immediately. Third, by re-balancing the financial and trading arrangements of the global economy’s participants, CFT would represent a step toward addressing its current dysfunction. CFT is not a complete solution, because it leaves open the question of who should adjust to whom. A reformed global payments system, which mandates symmetrical adjustment of global imbalances, would need to tackle this issue. Fourth, because of America’s leverage, its adoption of CFT would “nudge” reluctant trade surplus countries to accept such a payments system. Global finance would have to operate within the limits that a balanced payments system establishes. Fifth, in terms of economic benefits to the US, implementing CFT would stimulate the return of off-shored enterprises and jobs, thus restoring the country’s industrial potential and social balance. Inshort, CFT addresses trade deficits, overcomes the limitations of tariffs, fights trade manipulation, corrects current mainstream economic theory, and is a necessary step toward re-establishing a feasible global payments system. In a nutshell, it overcomes the Rodrik trilemma: one can have the nation-state, democracy, and globalization at the same time. But only one nation-state, the US, has the clout to deliver this. By doing so, it would stop the global stampede to a virulent form of economic nationalism. For that reason alone, the Masch plan deserves serious consideration. Lord Skidelsky, Professor Emeritus of Political Economy at Warwick University and a fellow of the British Academy in history and economics, is a member of the British House of Lords. The author of a three-volume biography of John Maynard Keynes, he began his political career in the Labour party, became the Conservative Party’s spokesman for Treasury affairs in the House of Lords, and was eventually forced out of the Conservative Party for his opposition to NATO’s intervention in Kosovo in 1999. Posted in Democracy, Donald J Trump, Economic Integration, Economics, Geo-Economics, Globalisation, Nationalism, Project-Syndicate.org, Trade and Investment, Trumpianism, World Trade Organisation (WTO). Protracted economic stagnation in rich countries continues to threaten the development prospects of poorer countries. Globalization and economic liberalization over the last few decades have integrated developing countries into the world economy, but now that very integration is becoming a threat as developing countries are shackled by the knock-on effects of the rich world’s troubles. As a consequence of increased global integration, growth in developing countries relies more than ever on access to international markets. That access is needed, not only to export products, but also to import food and other requirements. Interdependence nowadays, however asymmetric, is a two-way street, but with very different traffic flows. Unfortunately, the trade effects of the crisis have been compounded by their impact on development cooperation efforts, which have been floundering lately. In 1969, OECD countries committed to devote 0.7% of their Gross National Income in official development assistance (ODA) to developing countries. But the total in 2017 reached only $146.6 billion, or 0.31% of aggregate gross national income – less than half of what was promised. In 2000, UN member states adopted the Millennium Development Goals to provide benchmarks for tackling world poverty, revised a decade and a half later with the successor Sustainable Development Goals. But all serious audits since show major shortfalls in international efforts to achieve the goals, a sober reminder of the need to step up efforts and meet longstanding international commitments, especially in the current global financial crisis. Individual countries’ promises of aid to the least developed countries (LDCs) have fared no better, while the G-7 countries have failed to fulfill their pledges of debt forgiveness and aid for poorer countries that they have made at various summits over the decades. At the turn of the century, development aid seemed to rise as a priority for richer countries. But, having declined precipitously following the Cold War’s end almost three decades ago, ODA flows only picked up after the 9/11 or September 11, 2001, terrorist attacks. The Monterrey Consensus, the outcome of the 2002 first ever UN conference on Financing for Development, is now the major reference for international development financing. But, perhaps more than ever before, much bilateral ODA remains ‘tied’, or used for donor government projects, rendering the prospects of national budgetary support more remote than ever. Tied aid requires the recipient country to spend the aid received in the donor country, often on overpriced goods and services or unnecessary technical assistance. Increasingly, ODA is being used to promote private corporate interests from the donor country itself through ostensible ‘public-private partnerships’ and other similar arrangements. Not surprisingly, even International Monetary Fund staff have become increasingly critical of ODA, citing failure to contribute to economic growth. However, UN research shows that if blatantly politically-driven aid is excluded from consideration, the evidence points to a robust positive relationship. Despite recent efforts to enhance aid effectiveness, progress has been modest at best, not least because average project financing has fallen by more than two-thirds! Debt is another side of the development dilemma. In the last decade, the joint IMF-World Bank Heavily Indebted Poor Countries initiative and its extension, the supplementary Multilateral Debt Relief initiative, made some progress on debt sustainability. But debt relief is still not treated as additional to ODA. The result is ‘double counting’ as what is first counted as a concessional loan is then booked again as a debt write-off. At the 2001 LDCs summit in Brussels, developed countries committed to providing 100% duty-free and quota-free (DFQF) access for LDC exports. But actual access is only available for 80% of products, and anything short of full DFQF allows importing countries to exclude the very products that LDCs can successfully export. Unfortunately, many of the poorest countries have been unable to cope with unsustainable debt burdens following the 2008-2009 financial crisis. Meanwhile, there has been little progress towards an equitable and effective sovereign-debt workout framework despite the debilitating Argentine, Greek and other crises. In addition to facing export obstacles, declining aid inflows, and unsustainable debt, the poorest countries remain far behind developed countries technologically. Affordable and equitable access to existing and new technologies is crucial for human progress and sustainable development in many areas, including food security and climate-change mitigation and adaptation. The decline of public-sector research and agricultural-extension efforts, stronger intellectual-property claims and greater reliance on privately owned technologies have ominous implications, especially for the poor. The same is true for affordable access to essential medicines, on which progress remains modest. An international survey in recent years found that such medicines were available in less than half of poor countries’ public facilities and less than two-thirds of private facilities. Meanwhile, median prices were almost thrice international reference prices in the public sector, and over six times as much in the private sector! Thus, with the recent protracted stagnation in many rich countries, fiscal austerity measures, growing protectionism and other recent developments have made things worse for international development cooperation. 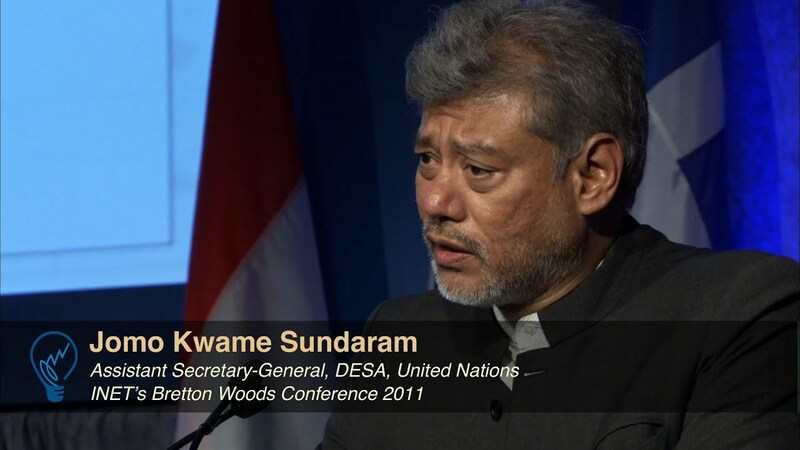 Dr. Jomo Kwame Sundaram, a former economics professor, was United Nations Assistant Secretary-General for Economic Development, and received the Wassily Leontief Prize for Advancing the Frontiers of Economic Thought in 2007. Posted in Economic and Public Policy, Economic Development, Economic Integration, Entertainment, Foreign Policy, Globalisation, Governance, International Monetary Fund, Pakatan Harapan, Policy Research, Political Economy, Public Accountability, Tourism, Trade and Investment, Tun Dr. Mahathir Mohamad, UniversIalism, Xi Jinping. The world in which Asia Pacific economies operate is changing. Two main forces are driving this change — one ‘top-down’, the other ‘bottom-up’. The top-down force is the emergence of a world with a larger number of key economies. In recent decades, growth rates around the world have diverged. For much of Asia, this has meant dramatic improvements in incomes and a huge reduction in the number of people living in poverty. It has also meant a new order among countries — a multipolar world. The bottom-up force is the change in the way production is organised, driven by progress in communications and information technology. Technological improvements have shifted the location of production, with production processes becoming increasingly fragmented across countries. The nature of work and the composition of skills within economies have changed. Given the new order of production and trade, the Trump administration’s mercantilist focus on reducing merchandise trade deficits will end up hurting the United States, as well as disrupting global production networks. As trade flows change, pressure for domestic structural change can arise. In the United States, a decline in support for international trade and openness has been exacerbated by a lack of adjustment support for geographically concentrated bearers of the burden. Their reaction via domestic political processes has shocked the international system. In the United States and elsewhere, good macroeconomic outcomes no longer win elections. Much economic policy is now driven by nationalistic and protectionist politics. This is particularly evident in US initiatives to protect its domestic production and seek adjustments from China. These political conditions were preceded by waning support for openness at a multilateral level. As multilateral negotiations stalled, the response has been the emergence of ‘mega-regional’ platforms such as the Comprehensive and Progressive Agreement for Trans-Pacific Partnership (CPTPP or TPP 11) and the East Asian Regional Comprehensive Economic Partnership (RCEP). These initiatives sit atop a ‘noodle bowl’ of messy bilateral agreements. Before the current US America First regime, these mega-regional and bilateral agreements still operated under the lid of the World Trade Organization. The rules-based trading system was still an anchor for economic integration, especially the dispute settlement mechanism. Today, the principles of openness, non-discrimination, transparency and open regionalism — which have helped generate prosperity in the region, especially for developing economies in Asia — are being severely challenged. When the United States leaves the TPP, undertakes unilateral action and declares that the multilateral rules have not served US interests, the anchor of the trading system is challenged. At most international forums like the G20, policymakers’ time is being wasted on phrasing defensive communiques instead of cooperating on the substantive trade and investment issues of the day. At the same time, new issues are emerging in relation to trade and investment, such as the taxation of international income flows, the treatment of data flows and the management of intellectual property. Responding to climate change and finding appropriate policies to deal with inequality are also among the challenges. Progress will be difficult in the multipolar world without clear leadership from the major economies. Waiting for a consensus to emerge among key economies about the importance of maintaining these anchor principles — while at the same time dealing with the new issues that have emerged — is not an option. There are no obvious forces now at work to resolve this lack of consensus within a reasonable timeframe. Lower-income people in rural ASEAN areas, for example, should not have to wait for the rest of the world to figure out how to shift their own economies and communities to new sources of growth. In the absence of leadership from the advanced economies, a shared leadership model in the region should be the answer. The key then is the response of the increasingly influential ‘second-tier’ economies. No actors are more important than Indonesia and Southeast Asia, operating through ASEAN and the ASEAN-plus regional agreements that are already in place and being consolidated under RCEP. Recent statements by leaders in Indonesia indicate recognition of the role it can play and wants to play. But Indonesia’s contribution will be so much greater and more effective if it acts in concert with others. Concerted action could take multiple forms. It might include unilateral reforms, or working on sustainability initiatives that are in both local and global interests. Effective concerted action depends on a few factors. Foremost, it depends on shared principles. Part of this is agreeing on a purpose, such as the basic principles of non-discrimination, transparency and support for the rules-based trading system. Other principles can relate to specifics, such as the management of open data flows. These principles provide important reference points as countries take their own actions. There is value in sharing experience and aligning countries’ expectations about each other’s reform programs. These are not new approaches. Readers with long memories will recall efforts like the APEC non-binding investment principles and Individual Action Plans. But this is the point — we already have relevant structures for mobilising this cooperation that can be rejuvenated. APEC is the most relevant example. Putting weight on APEC does carry a risk. But APEC has a well-developed network of second-track structures that can be engaged more deeply. Given the complexities of the new issues facing the regional economic order, it is even more imperative that there be wide, multi-stakeholder participation and input. Even more importantly, APEC remains a forum in our region where key economies in the multipolar world and the leading second-tier countries can interact effectively, and where the major protagonist, the United States, can still be engaged. Mari Pangestu is former Indonesian trade minister and Professor at the University of Indonesia. Christopher Findlay is Professor and Executive Dean of the Faculty of the Professions at the University of Adelaide. This article appeared in the most recent edition of East Asia Forum Quarterly, ‘Trade Wars in Asia’. Posted in ASEAN, Economic Integration, Holistic and Balanced Development, One Belt and Road Initiative (BRI), RCEP-Regional Comprehensive Economic Partnership, Trade and Investment. The international marketplace can be an unforgiving arena, if the hard economic realities of global markets are replaced by sentimentality or nostalgia. THERE is a pattern and a rhythm in global markets that, when acknowledged and heeded, can yield profits – but when denied or confronted may lead to loss and pain. Asia’s two largest economies, China and Japan, are set to face off in South-East Asia in at least one sector: automobiles. The signs of this looming challenge are becoming observable, as the portents of the rivalry settle steadily into place. A “national car” in Vietnam or Malaysia tends to miss the wood for the trees. Larger regional realities determine the local prospects, not the other way round. All goods and services are subjected to tough market realities. A temporary reprieve may come only with costly subsidies or tariffs which then render items uncompetitive over the longer term. Among the realities of the global auto market are, first, that the motorcar is the single most costly consumer item commonly sold across borders. Second, of all the global consumer items traded daily, the car is probably the least nationally oriented. Parts come from all over the world, plants are established abroad for cost and other reasons, and companies from abroad buy proud “national” firms producing even the most prestigious brands. Britain’s Jaguar Land Rover was bought by America’s Ford, and then by India’s Tata. Britain’s most prestigious marques, Rolls Royce and Bentley, were bought by Germany’s Volkswagen which also bought Italy’s supercar Lamborghini and France’s pride Bugatti, besides Spain’s Seat and Czechoslovakia’s Skoda. Lamborghini was previously taken over by the Swiss (Mimrans), then the Americans (Chrysler), and then Indonesians (V’Power) and Malaysians (MyCom). China’s Geely bought Sweden’s Volvo, the London Taxi Company, Germany’s prestigious Daimler (Mercedes) Benz, the US “flying car” company Terrafugia – and Malaysia’s Proton and Lotus. Proton had earlier acquired Britain’s iconic sports car company, Lotus. Ownership “promiscuity” in the auto industry across borders is spread all round. Some of these acquisitions may not be 100% but they are still substantial. Geely, for example, owns 49.9% of Proton and 9.69% of Benz, both being the single largest stake in these companies. Among the earliest across borders was General Motors’ acquisition of Germany’s Opel in 1929, after which Opel models were still sold in the UK as “British” Vauxhall. Last year Opel was acquired by France’s Groupe PSA which incorporates Peugeot and Citroen. The pace and number of cross-border auto acquisitions continue to grow, along with the scale. It is a game for the super cash-rich, making independent national operations unviable while squeezing the prospects of new startups. In ASEAN countries today, mega competition on Level Two between Japanese and Chinese auto firms is shaping up. Even Korean companies are only looking in to see if there is a possible opening. Sales of individual cars to consumers on Level One continue for all marques, but sales of whole auto companies (Level Two) are the new name of the game. Apart from direct competition between Japanese and Chinese corporations, competition is growing between their locally named subsidiaries – and between rival compatriot firms. The result may see South-East Asian auto companies functioning largely as proxies of parent Chinese and Japanese firms. SAIC Motor, China’s biggest auto firm which also assembles US and European brands, wants Thailand as the regional production hub for export to other countries. Japanese companies had set that example in this region and are still trying to keep the “flag flying.” Toyota has raised its stake in the Philippines, as has Mitsubishi, with increased investments in factories for larger output. However, higher levels of local technical input are still limited at best. The international auto acquisitions market has also involved prestigious car design firms. Vietnam’s first car company Vinfast proudly announced engaging Italy’s Pininfarina, which designed Ferrari and Maserati models – and which was bought earlier (76%) by India’s Mahindra. Developing countries may be smitten by the “national car” bug, while developed countries are more interested in producing sophisticated high-value systems that can be incorporated into all cars: among them, AI for self-driving cars. These high-end components are the real value-added skills in auto production today, rather than basic parts assembly so commonly found in Third World car factories. Ultimately, the issue is the degree of local content along with the technical input rather than a hidebound obsession with a “national” car. Production and ownership promiscuity across borders means that cars no longer have distinct nationalities. Thailand produces some two million cars a year, more than half for export, about as many produced as all the other ASEAN countries combined. It has no national car project since it manufactures only automotive components and assembles cars from other countries. Nonetheless its automobile sector is widely regarded as economically successful, employing more than half a million people and accounting for 10-15% of GDP. Most of the world’s auto parts and automobile manufacturers operate in the country. A lack of high-end technical inputs for greater value-added has however been limiting to growth. Lately the auto sector pledged to scale up the technical ladder, with attractive government-supported incentives for environmentally clean designs. Indonesia has ambitious plans for boosting its auto sector, encouraged by rising local demand since 2012 but still hampered by limited exports. It therefore risks mistaking local demand for overseas demand, which has been only 20% of Thailand’s. Within ASEAN, Indonesia is the biggest country with the biggest population and economy, but its auto sector has not been competitive internationally. Government support through protectionism is no answer. Now the Indonesian auto sector may be facing another challenge – competition from elsewhere in ASEAN such as Vietnam. Its structural inefficiencies remain a persistent problem. A study by Prof Sadayuki Takii found that the problems include weak or minimal local content and government protection contributing to a lack of competitiveness. The same conditions may be found in other ASEAN countries. Another reality in the global auto market is how successful companies come from countries with a sizeable domestic market providing healthy competition nationally. Through the years, market discipline made these companies competitive internationally and fit to compete against companies in other countries. Protectionism however works in the opposite direction. Indonesian President Joko Widodo has been toying with the idea of an “ASEAN car,” which would bring together engineering skills across this region to produce a competitive world-class item. This desire still exceeds the capacity or the prospect, unfortunately. Countries in ASEAN still need to get over the lack of substantive technology transfer if they are to acquire the real skills that make the auto sector competitive. Increasing investments by Japanese and Chinese firms at largely parts assembly level are contributing to the problem. But who can say no to immediate investments offering more jobs? Beyond technology transfers, local players also need to become innovative on their own. That has yet to happen. Another problem to resolve is the growing competition between ASEAN countries. The competing concepts of “regional car” and “national car” are in a zero-sum game. The Philippines also wants to be the regional auto manufacturing hub within a decade. This national-centric approach, typical of the region, retards regional integration and prospects for the ASEAN Economic Community. The more likely prospect is to become local outposts for larger Chinese or Japanese firms. Posted in ASEAN Economic Community, China, Economic Integration, Japan, Korea, Proton, Tun Dr. Mahathir Mohamad, www.thestar.com.my. After nearly a year of political deadlock following the 2017 parliamentary elections, on 12th May Timor-Leste’s citizens elected a new government, with Xanana Gusmao the likely new Prime Minister. The parliamentary power his Change for Progress Alliance coalition might wield is little different from the power it was prohibited from wielding under the previous government. After the 2017 polls, the Fretilin party—having bested Xanana’s CNRT by a few fractions of a percentage point—ultimately refused to convene parliament to face a majority Xanana cobbled together from smaller parties, claiming that because Fretilin received the largest number of votes for any single party, it possessed the “majority”. By this logic parliamentarians exercising their authority would be undertaking a coup d’état. It remains to be seen whether this same illogic will emerge again. Xanana, for his part, surely has promises to keep, and we can anticipate new ministries so that coalition partners might be rewarded. In the near term we can anticipate so many overseas “study tour” junkets that they may necessitate a brand new ministry to organise them. This is all grist to the mill for many a Timor-watcher who has consigned the country to an “arc of instability” alongside Papua New Guinea, Vanuatu, and the Solomon Islands. The picture painted is one of a failed state, according to Foreign Affairs, or a still-failing one, according to a La Trobe University lecturer, with the long-exasperated neighbour Australia at any moment exposed to the fallout of potential collapse in the form of civil conflict or irregular migration. 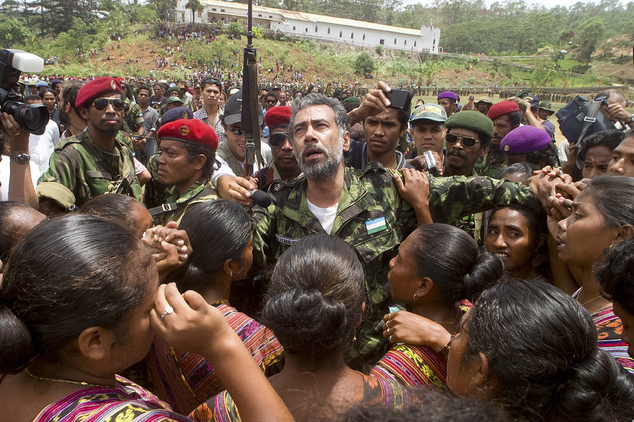 After Timor-Leste’s independence in 2002, the United Nations Temporary Administration in East Timor (UNTAET) built Timor-Leste’s institutions of government, but political violence resulted in another peacekeeping mission in 2006. Since 2013, the country has achieved stability through petroleum revenue-funded “reconciliation” between political elites. Certainly, viewing Timor-Leste through a political economy lens and then extrapolating that view across the multiplicity of sectors and layers that constitute local government and public service delivery makes for dark viewing. In recent years, while conducting field research on service delivery in the country, I heard the dire pronouncements of many a Dili-based NGO or donor representative, or a Timorese health, education, or other line ministry official, and these coalesced around a key assumption: a lack of civil servant capacity in remote and inaccessible hinterlands results in low health, education, and other human development indicator measurements which set the stage for another generation of development assistance. This is usually followed by a melancholy “we are a new country” caveat. Hearing enough of this in Dili, one can be forgiven for assuming that everyone in the countryside is uneducated, hungry and dying. This perception surely underlies Singapore’s objection to Timor-Leste’s membership of ASEAN. But this dark view evaporates as soon as one leaves Dili. Let’s begin with bromides concerning low human resource capacity outside of a few towns. Across Timor-Leste’s rural areas where the majority of Timorese reside, civil servants can be found at their posts and doing their jobs in a challenging environment—one in which little attention is received from the centre. Decentralisation has in some imperfect manner occurred, with schools functioning autonomously and health services improvising to provide services. These civil servants may often be under-qualified—the teachers may only have high school diplomas—but they are there. Anecdotally, service standards are higher in rural Timor-Leste than in much of remote eastern Indonesia. “Remote” is also relative in Timor-Leste. Iliomar, often mentioned as one of the most remote areas of the country, can be reached in nine hours from Dili by car, with a nearly uninterrupted 3G phone signal across the entire journey; by no standard of measurement is this remote, especially compared to areas of nearby Indonesian Papua that are up to a week’s walk from a road, with complete network absence. No area of Timor-Leste that I am aware of suffers a lack of services and corresponding ill health, high mortality, low school attendance and student performance due to remoteness. Claiming that geography inhibits service delivery is disingenuous. Timor-Leste’s problems are bureaucratic, not geographic. The biggest obstacle rural civil servants identify is not “remoteness” or “human resource capacity”: it is “Dili”, an often insular centre that lacks understanding of, and experience in, the rural areas where most Timorese live. The new state’s problems are many, but they are surmountable, and they are concentrated in Dili. They involve ineffective logistics, haphazard supply chains, a lack of facilities standardisation and maintenance, top-down budgeting that takes no account of local conditions, lengthy delays in payments and financial acquittals, and so on. This in turn stems from less-than-competent senior management and politically-driven appointments. While the centre does host committed and effective senior technocrats, they are exceptions. Centralisation of fiscal policy and procurement is justified by an alleged lack of capacity in the countryside. But the way such matters are handled in the capital would be laughable if it wasn’t so harmful. For example: Government tenders for vehicle maintenance are awarded where all repairs are done in Dili only. Repairs can take over a year, and work can be shoddy: in Lospalos, an ambulance repaired a year after delivery broke down on the drive back. Fuel provision contracts are awarded in such a way that vehicles must drive to Dili to fill up their tanks. To cope with this absurdity, sub-national administrators utilise other budgets to purchase fuel locally. Some ministries have such a bad reputation among potential private service providers with regard to delayed payments that only the worst contractors bid for their tenders. Most damagingly, civil servant salaries can be collected only in municipal capitals. This takes administrative post health, education, and other officials out of their posts for two days to a week every month. Individual civil servants, including those in Dili, strive to distinguish themselves from the Indonesian state structure they replaced. However, they are disempowered from acting independently, and are hobbled by the focus of the bureaucracy on paperwork and “accountability”—such as the requirement of undue amounts of signatures for the release of funds, one of the worst aspects of New Public Management superimposed by UNTAET. Middle managers defer decisions upwards; they receive few rewards for good performance and face fewer consequences for poor performance. A lack of managerial accountability is found throughout: for example, a preventable death from an obstetric emergency will result in no investigation or administrative sanction to the civil servants responsible for a particular shortage or lack of maintenance that led to the death. A junior civil servant may be dismissed for absenteeism, but their manager will not be dismissed for failing to provide the supporting structure that made it impossible for that civil servant to do their job in the first place. These problems are hardly unique to Timor-Leste. They are found across the developing and developed world. And yet Timor-Leste is described as at risk of collapse, even though it lacks the violence, insurgency, and debilitating corruption of other failed and failing areas: as though it possesses the political equivalent of a genetic predisposition. But contemporary observable conditions in the countryside fly in the face of the dire pronouncements of the centre, mostly backed by old data. Most current human development indicators available from donor and agency sources demonstrate improvements in the last 10 years but even these might be unduly pessimistic. So why does this image of failure persist? The root cause is that national-level civil servants and development workers speak for a grassroots that they don’t understand. Also to blame is the repetition of biases and application of expired heuristics across decades. In the 1970s, Timorese diaspora opponents of Indonesia’s invasion, and their threadbare foreign supporters, spoke of the tragedy of an invasion of a nation already left behind by hundreds of years of Portuguese neglect, then subjected to horrendous levels of violence and social engineering schemes, dying from neglect or from intention. Much of this message was encapsulated in the imagery of emaciated children in relocation camps, and that image has never left us. It is implanted in the minds of government and NGO staff who easily absorb those images and aid in their recycling. The unthinking continuity of this image supports the unthinking elements of the development industry; it is the reason why many a salary is drawn (including the salaries of underpaid local enumerators who are expected to feed doom up the line to their superiors) and many a study tour and per diem is taken. Local government and NGO workers I’ve spoken to across Timor-Leste offer numerous examples of enumerators filling in household surveys with exactly the results they expect to find. Another cause is that many government and NGO workers in Timor-Leste have never worked elsewhere. It’s easy to believe conditions in Timor-Leste are the same as Afghanistan or the Congo if one knows absolutely nothing about those failed states. Some of Timor-Leste’s problems seem to be invented. For example: the small stature of many Timorese is often classified by donors and NGOs as “stunting”, childhood malnutrition which can result in diminutive size, cognitive deficiency, and ill health. Undoubtedly the diminutive stature of many Timorese is caused by childhood malnutrition; some foreign-funded nutrition projects are needed, and welcomed, but all too many of them assumed that the problem is a lack of food, which they then attempted to address through food distribution. But malnutrition in Timor-Leste is not caused by a lack of food so much as it is caused by a lack of knowledge—of nutrition, of breastfeeding and supplemental feeding, of sanitation and food storage. And also, some people are just shorter than others. The articulation of stunting comes with a laundry list of negative physical and mental outcomes offered as though they are inevitable to all Timorese below a certain height. This is insulting and racist: diminutive stature does not mean that one is stupid, but the small stature of many a Timorese is re-cast as a dire epidemic of mental imbecility and physical frailty —a problem from the worst excesses of the Indonesian occupation, reinvented in order to open a funding line and respond to something that cannot be defeated because it mostly doesn’t exist. 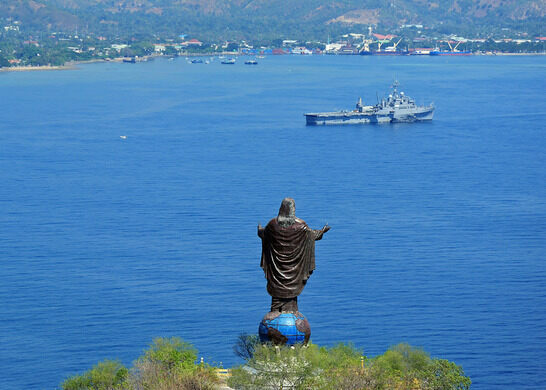 Timor-Leste has enough palpable problems; one need not resort to the past or one’s imagination. Youth unemployment is high, economic opportunity is lacking, education is sub-par, maternal and child mortality are high, and malnutrition is prevalent. 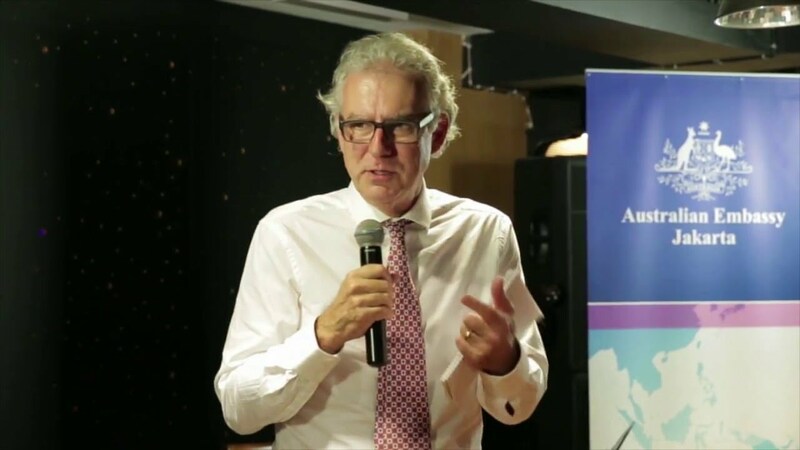 Violence against women and children is unacceptable at any level, much less the level found in Timor-Leste. The government’s political decisions impede policies to improve the lot of the majority of Timorese in favour of expenditures such as the Oecussi Special Economic Zone, the Tasi Mane petroleum corridor, exorbitant pensions to insurgent veterans and their offspring, and so on. These short-sighted expenditures are often funded by Petroleum Fund draw-downs which impact that fund’s Estimated Sustainable Income levels. Government employment is an erroneous form of social protection. Even the official status of Portuguese is wasteful, with local civil servants dependent on the translations of Portuguese “advisors”. Most importantly, Timor-Leste has the highest birth rate in Asia: this will degrade all human development progress made in the near term. Family planning underpins nearly all positive outcomes in maternal and child health and family health in general—physical, economic, and so on. It is foundational to gender equality. Despite myriad problems, it is worth repeating: things aren’t so bad. In rural Timor-Leste civil servants are struggling to provide services with little support; children are in school, being taught by teachers who are mostly present; health posts are open and relatively clean, and pharmacies have stocks of some medicines. Civil servants know what their duties are, feel obligated to undertake them, and understand the support they need to execute those duties optimally. They freely offer prescient criticisms and suggest solutions. The countryside is direly under-developed in terms of infrastructure, but the government has responded through the National Program for Village Development; communities select and action their own infrastructure needs, and the results and impact are impressive. That program—one of the most successful implemented by the state—reveals the capacity that exists in ordinary Timorese. And the bonds of reciprocity found across the multiplicity of Timorese cultures which constitute society become apparent in discussions with everyone from volunteer teachers to ambulance crew members. Yes, conflict and violence exist, but this is still a society made cohesive by shared experience of occupation and resistance: a transcendent sense of membership, even amongst those in conflict with one another, exists. Timor-Leste’s most pressing issues are as tedious as they are solvable. The imagery of boatloads of stunted Timorese washing ashore in Australia’s Northern Territory as the country burns like a Yule Log so big it can be seen from space is a delusion. Timorese won’t kill one another in large enough numbers to touch off such a crisis. They don’t even have enough boats. Approaching a country from the perspective of its impending demise likely doesn’t lead to good assistance. A new paradigm by which to approach development in Timor-Leste is needed: one that builds upon the solid foundations one can find if only one manages to look and listen beyond the capital. Timor-Leste has a new government, and with it arrives new opportunities. The opinions expressed in this article are the author’s own. Readers may also be interested in the Australian National University’s 2018 Timor-Leste Update, which will be held in Canberra on 21/22 June. Posted in ASEAN, Democracy, Economic Integration, Foriegn Affairs, Freedom, Governance, Human Rights, Law and Order, Leadership, New Mandala.org, Politics, Poverty, Rule of Law, Timor Leste. The leaders of the ten member countries of the Association of the Southeast Asian Nations (ASEAN) gathered at the 32nd ASEAN Summit in Singapore from April 25 – 28, 2018 under the theme of “Building a Resilient and Innovative ASEAN.” Among the economic cooperation priorities agreed to were the continued advancement of the ASEAN Economic Community (AEC), pursuit of the Regional Comprehensive Economic Partnership (RCEP), and establishment of an ASEAN Smart Cities Network (ASCN). These agreed outcomes are steps in the right direction concerning regional integration. Although AEC – aimed at transforming the region into a single market and production base – was officially established in December 2015, more work is needed in areas such as trade facilitation and services liberalization. Another outcome was continued pursuit of RCEP, a trade mega-deal among ASEAN and its six dialogue partners (i.e. Australia, China, India, Japan, New Zealand, and South Korea) proposed to consolidate the existing ASEAN+1 free trade agreements (FTAs) to tackle a “noodle bowl” problem. If successfully concluded, it will encompass 45 percent of the world’s population and one-third of the world’s GDP. Beyond living standard improvements, ASCN can enable businesses to better participate in transnational production networks, helping to achieve another AEC 2025 objective of “A Competitive, Innovative, and Dynamic ASEAN.” For example, Singapore’s Intelligent Transport System feeds in real time traffic data to alert commuters of accidents on major roads. Although the immediate beneficiaries are drivers and motorists in the city-state, the system facilitates trade. The data enable truck drivers to avoid congested routes or accidents and deliver cargo to the ports on time, increasing businesses’ participation in the global supply chains. The economic priorities agreed to at the 32nd ASEAN summit can be seen as parts of the regional states’ efforts to enhance their economic cooperation in the “America First” era. The fact that the US’ Indo-Asia-Pacific Strategy has not been clearly articulated elevates the importance of regional integration as the nations turn to rely more on the combined size of regional economies as a means for further liberalization. However, it is wrong to think that Southeast Asia’s economic integration will leave little room for the United States to participate. The development of its regional economic architectures has been based on the principle of “Open Regionalism” which embraces an open system and regards regional arrangements as building blocks for wider economic integration. According to the ASEAN Leaders’ Vision for A Resilient and Innovative ASEAN adopted at this Summit, “ASEAN shall keep our markets open and competitive, deepen economic integration . . .[and] forge high quality and mutually beneficial economic agreements with external partners. . . to strengthen resilience against rising protectionism and global volatilities.” Such commitment has been reflected by RCEP, other FTAs and Comprehensive Economic Partnerships (CEPs) among individual ASEAN members and their extra-regional partners, and the engagement of non-ASEAN countries in several programs such as the Master Plan for ASEAN Connectivity 2025. As the door will not be closed for Washington, American policymakers have to think how to further engage their fourth-largest trading partner to reap the benefits of the latter’s combined GDP of more than $2.4 trillion and market of 632 million people. There exist several ways to do so. First, the United States can participate in the ASEAN Smart Cities scheme as more than half of the ASEAN population do not have access to basic Internet services. With their comparative advantage in digital technology, U.S. policymakers should encourage American firms to build such infrastructure. Also, cooperation under the US-ASEAN Connect Initiative created in 2016 should be further enhanced. Moreover, Washington should rely more on American research institutions to provide inputs helpful for its decision-making process. Furthermore, regular Track 1.5/2.0 dialogues between American and ASEAN academic and think tank communities should be developed and enhanced. 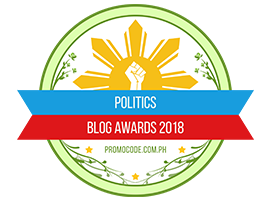 These platforms can be used to discuss issues too sensitive to be raised at the Track I (government-to-government) level. This would enable both Washington and Southeast Asian countries to test ideas and explore optimal solutions before forwarding them for consideration in the inter-government talks. Southeast Asia’s transnational supply chains have been deepening and regional efforts at economic integration have been increased as reflected in the announcements of the 32nd ASEAN Summit. There is still room to expand US-ASEAN trade and investment as well as other forms of commercial interaction. Washington should speed up its effort to roll out programs enhancing such economic ties. Doing so could help the United States reap more benefits from the world’s most dynamic economic region. Kaewkamol Karen Pitakdumrongkit is an Asia Studies Visiting Fellow at the East-West Center in Washington DC. She is also Deputy Head & Assistant Professor at the Centre for Multilateralism Studies, at the S. Rajaratnam School of International Studies (RSIS) of Nanyang Technological University, Singapore. She can be contacted at PitakduK@EastWestCenter.org. The East-West Center promotes better relations and understanding among the people and nations of the United States, Asia, and the Pacific through cooperative study, research, and dialogue. Established by the US Congress in 1960, the Center serves as a resource for information and analysis on critical issues of common concern, bringing people together to exchange views, build expertise, and develop policy options. The Asia Pacific Bulletin (APB) series is produced by the East-West Center in Washington. The views expressed in this publication are those of the authors and do not necessarily reflect the policy or position of the East-West Center or any organization with which the author is affiliated. Posted in ASEAN, ASEAN Economic Community, Asia-Pacific Bulletin-EWCDC, Development Planning, Diplomacy, Economic and Social Policy, Economic Integration, Foreign Policy, Singapore.